As I mentioned before, I'm not a huge drugstore makeup person, but I have been keeping my eye out for the new L'Oreal Infallible eyeshadows, which are supposedly a dupe for the Giorgio Armani Eyes to Kill, and I finally hit the jackpot yesterday at my local CVS! 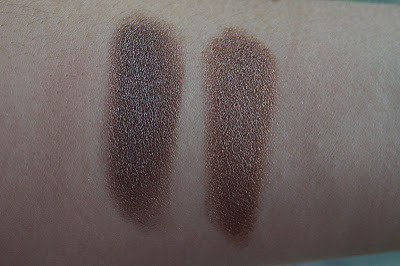 As I had picked up the Maybelline Color Tattoo cream shadows the other day, I decided that some comparison swatches were in order. L'Oreal Infallible eyeshadow in Bronzed Taupe on left, Maybelline Color Tattoo in Bad to the Bronze on right. The L'Oreal Infallible eyeshadows are a pressed pigment, not a cream or traditional powder shadow. 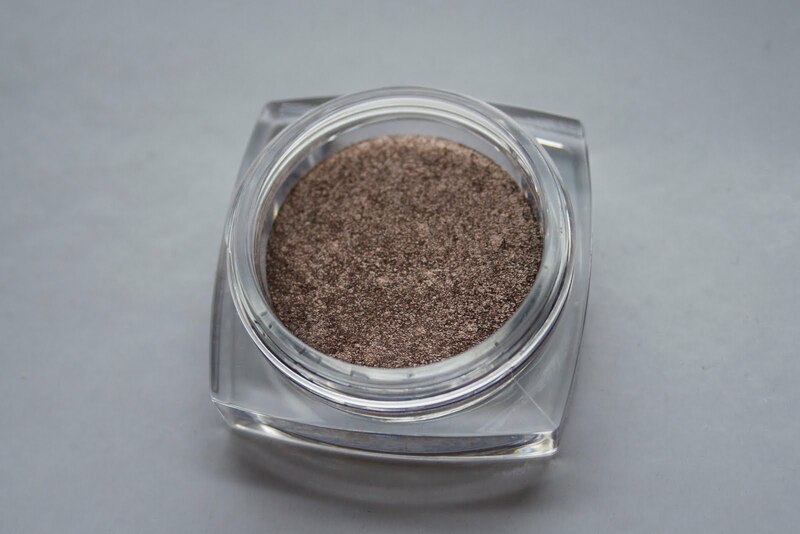 I have only used Bronzed Taupe once, and it wasn't super difficult to apply, but I had a bit of trouble blending it. I have heard that using synthetic brushes (opposed to natural) is key with these! 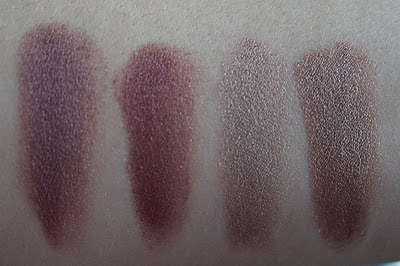 L to R: Benefit Creaseless Cream Shadow in Get Figgy, Maybelline Color Tattoo in Pomegranate Punk, Benefit Creaseless Cream Shadow in Birthday Suit, Maybelling Color Tattoo in Bad to the Bronze. 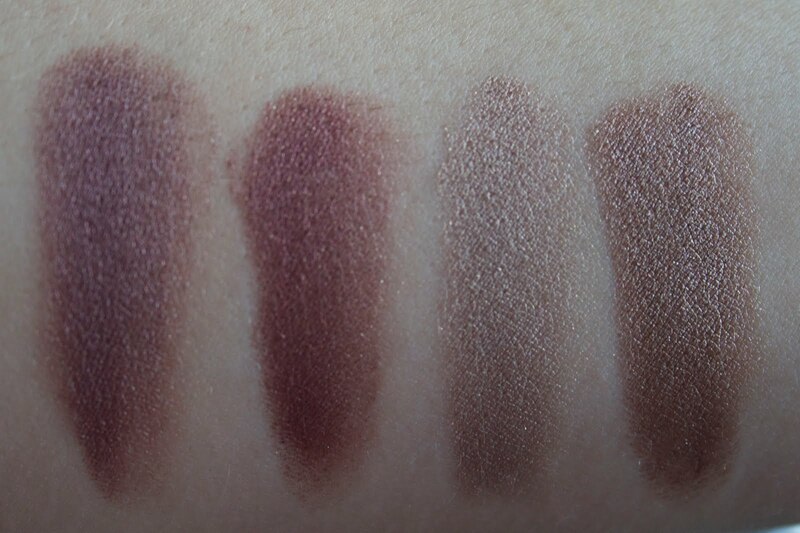 As you can see, Pomegranate Punk has a redder tone than Get Figgy, and Bad to the Bronze is a darker bronze as compared to the champagne color of Birthday Suit. In texture, in the pot the Maybelline Color Tattoos were not as soft and buttery as the Benefit shadows, but when applied the texture was the same. I mainly stick to neutrals for my eyes, so these may be the only two I grab for the time being, but for those of you who are more adventurous with color there are some gorgeous shades in this range and I'm impressed with the quality!